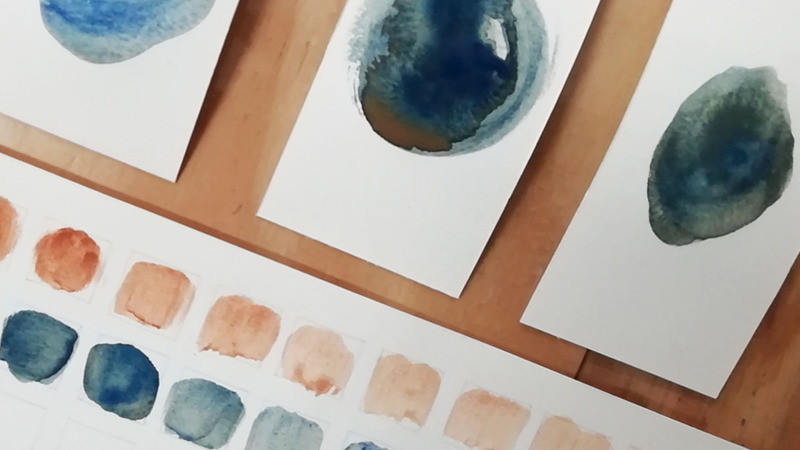 During the workshop, we were able to learn about five different sources of colors and test how these reacted with different binders to create the pigment. 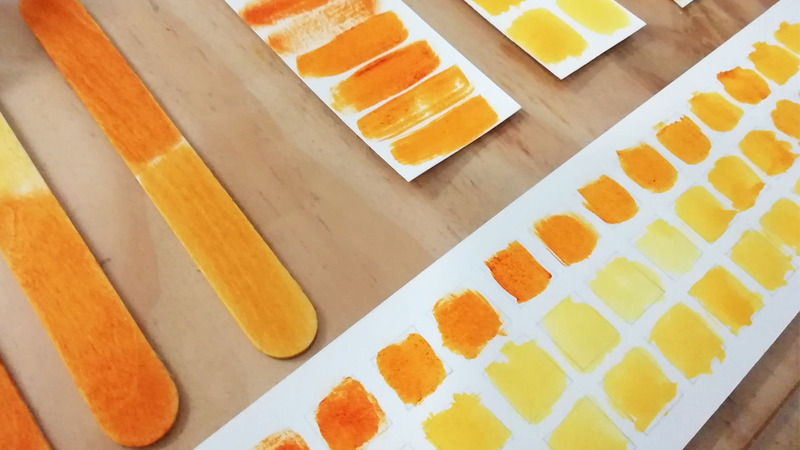 Depending on the color source we used one of the two different binders egg yolk or gum arabic. 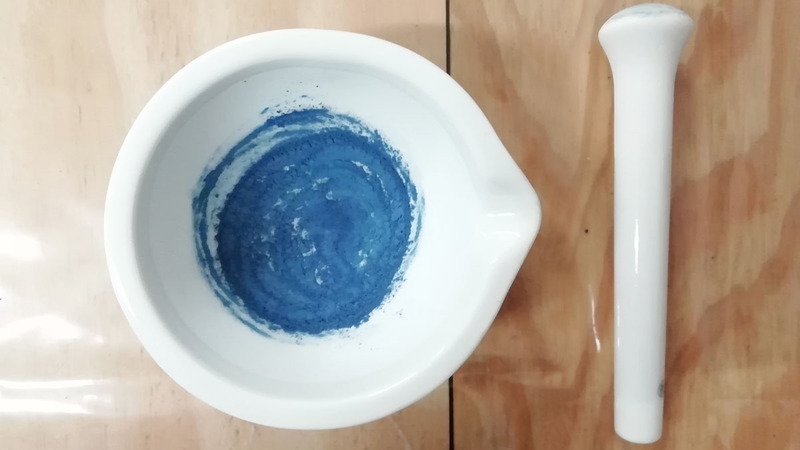 The intensity depended on the ratio of the color and binder as well as water, by adding more water the color scale would change from dark to light. 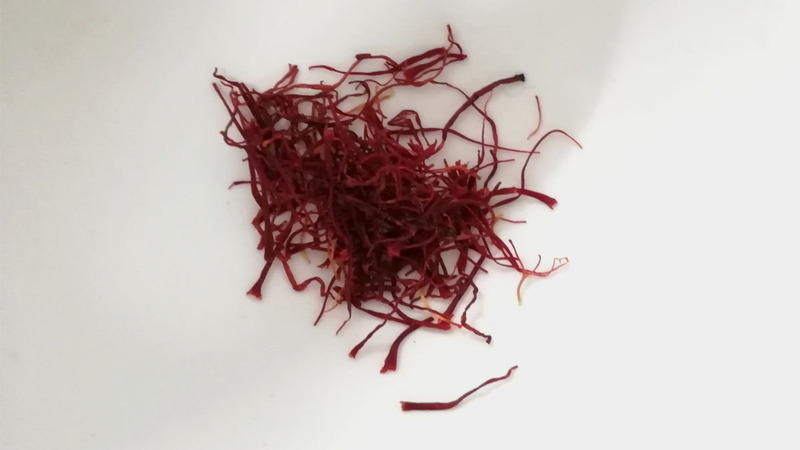 The first color we tested was yellow this was extracted from saffron by grinding the dried extract of the flower. The scent was strong and the intensity of the color even stronger. 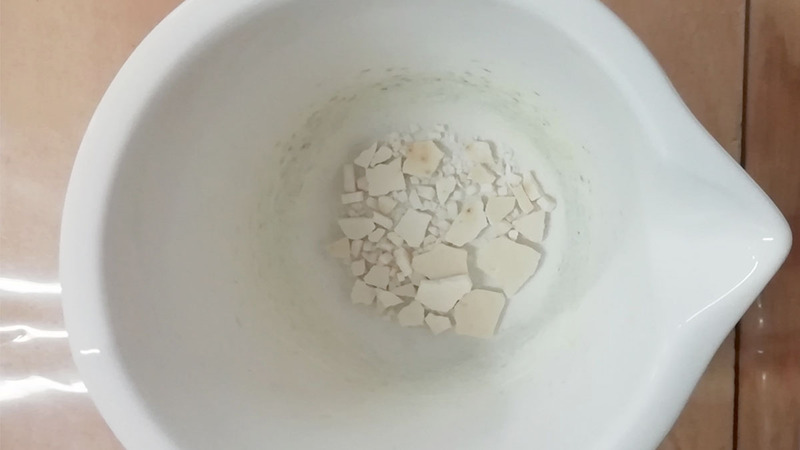 The experience was reminiscent of cooking due to the potent scent of the extract. 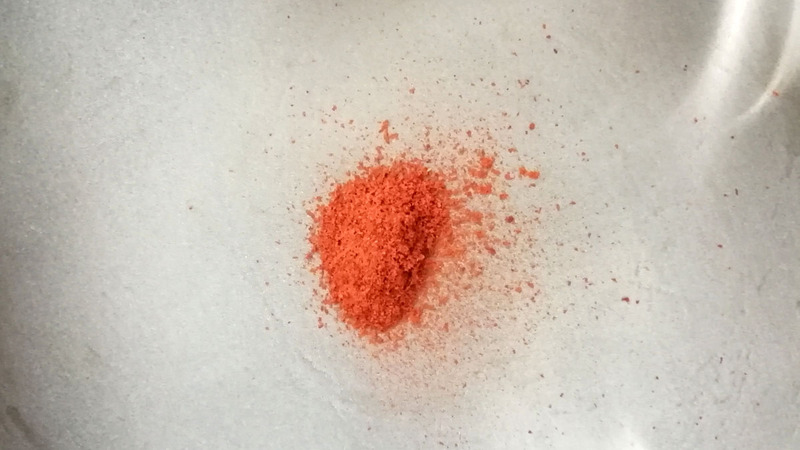 However, after adding the binder, egg yolk, the color truly revealed itself and provided a various scale from dark orange to a light yellow. 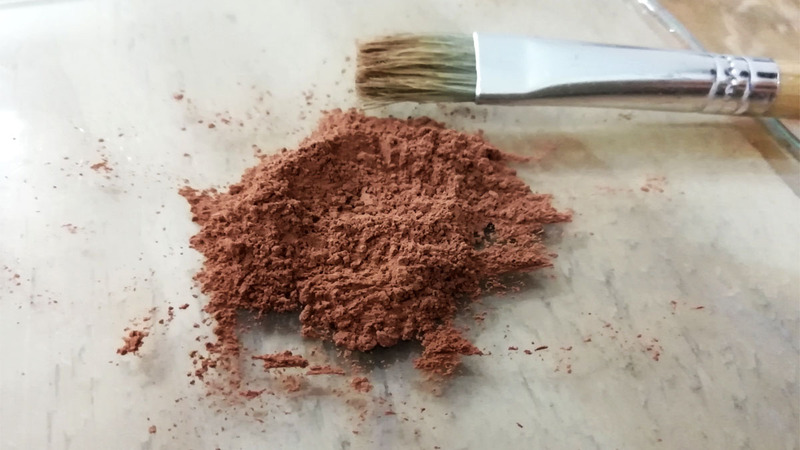 The second color was brown that was extracted from ochre, a natural clay earth pigment. 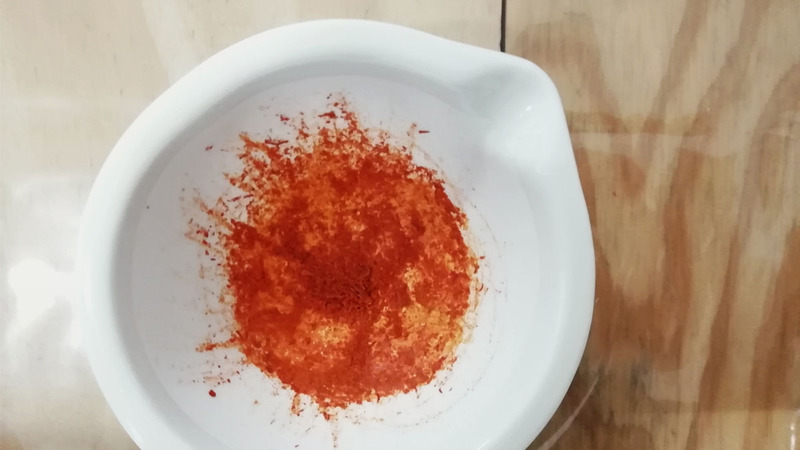 Similar to saffron, ochre provided yet another strong scent but this time it was more reminiscent of the wet and dirty ground, having a rich earthy smell. 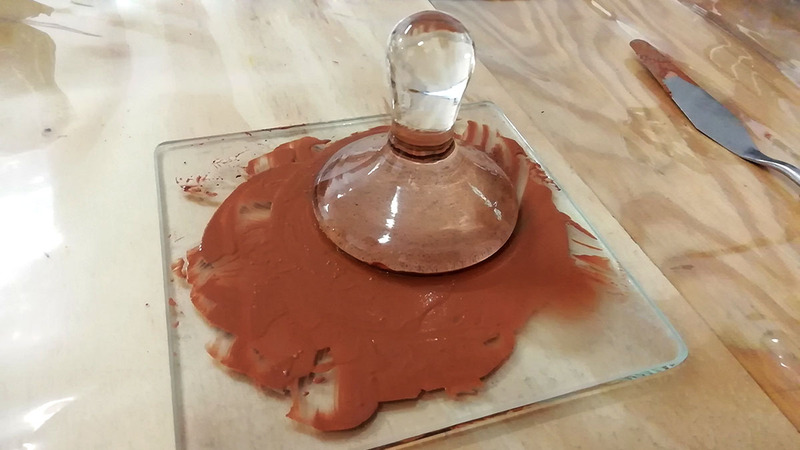 Ochre as well was bound with egg yolk and its color scale varied from a darker brown to a beige tone. 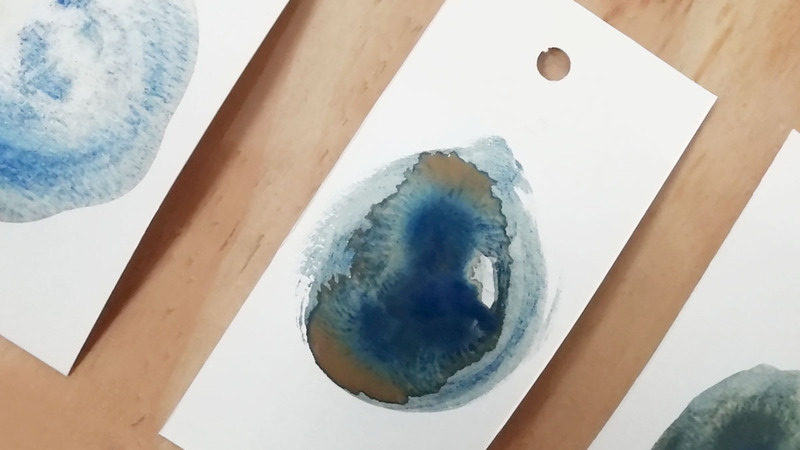 The color sources bound with gum arabic were azurite, an ostrich egg, and black smoke. 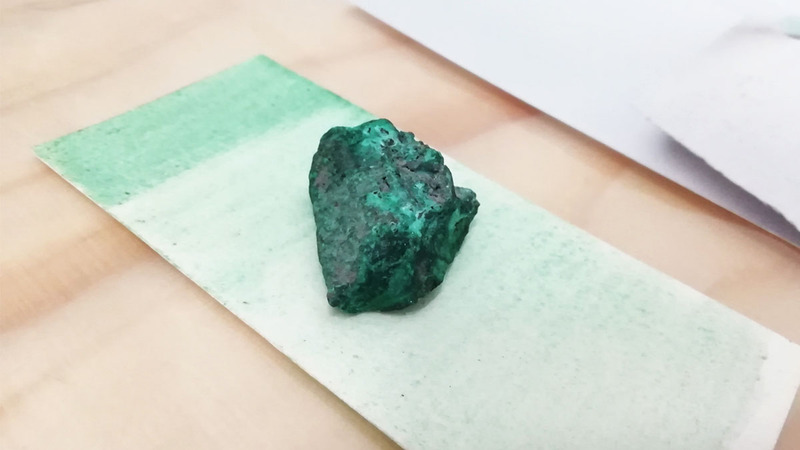 As a solid copper mineral, the azurite color was a deep blue but after the grinding, it changed into a bright blue powder. 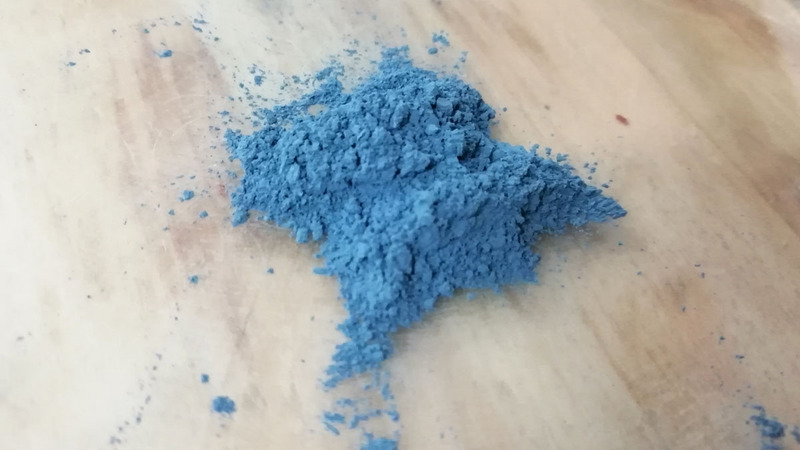 The scale of the blue changed surprisingly from a lighter blue to a deeper blue with the adding of water. 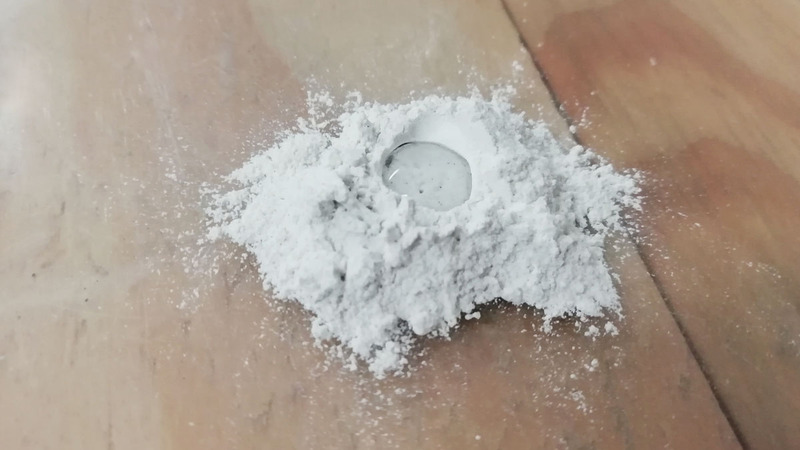 The ostrich egg provided the source for white pigment. 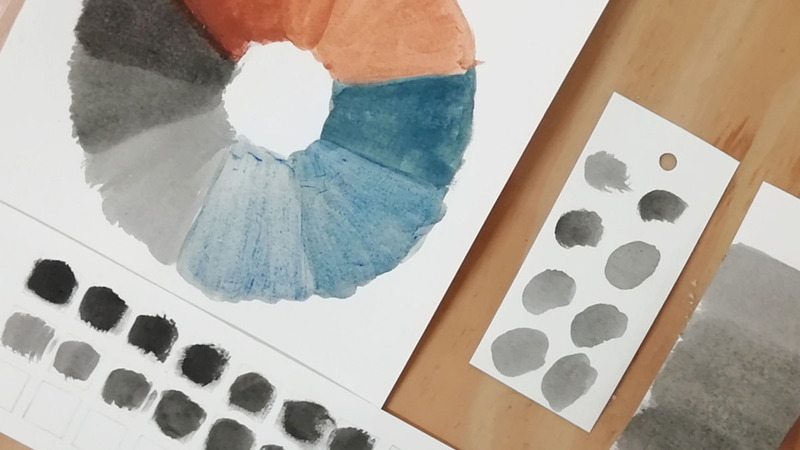 With this color, there were fewer options to manipulate the scale of the white, by adding more water the color simply became more translucent. 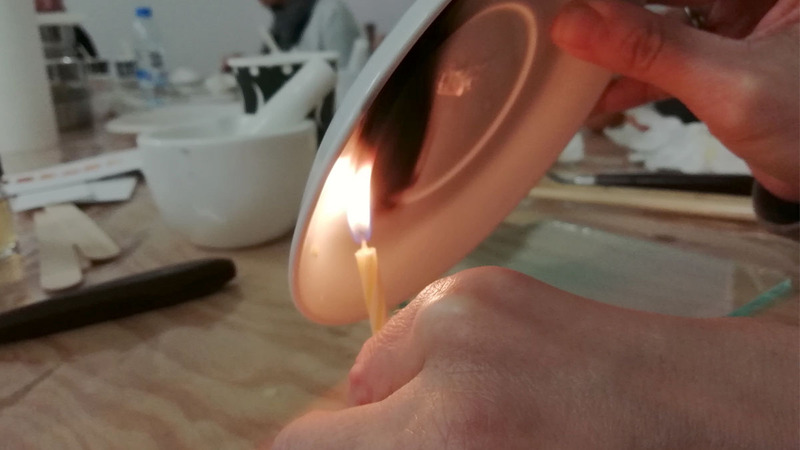 The black smoke was created by the use of a candle and a ceramic plate. 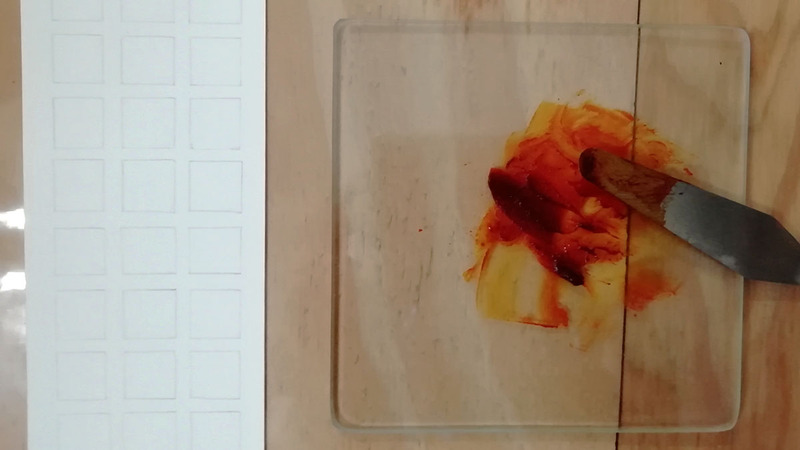 The color was prepared by burning the candle flame against the plate that resulted as smoke. 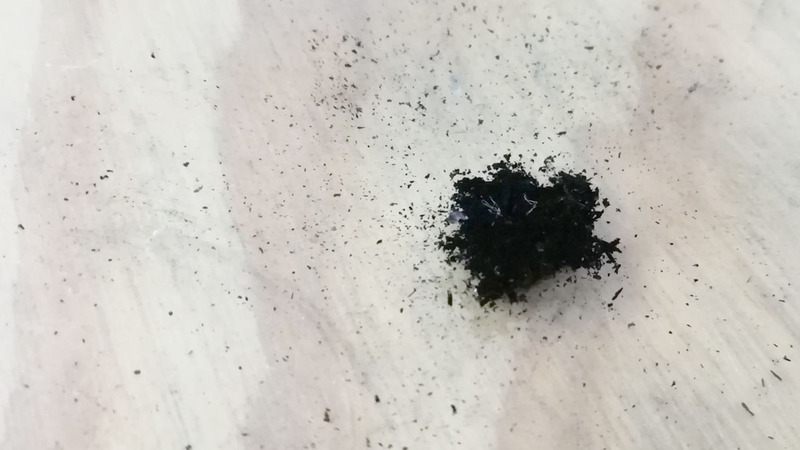 After which it was collected and used to create the black pigment. The black scale proved to be extremely rich, varying from dusky black to bright grey. 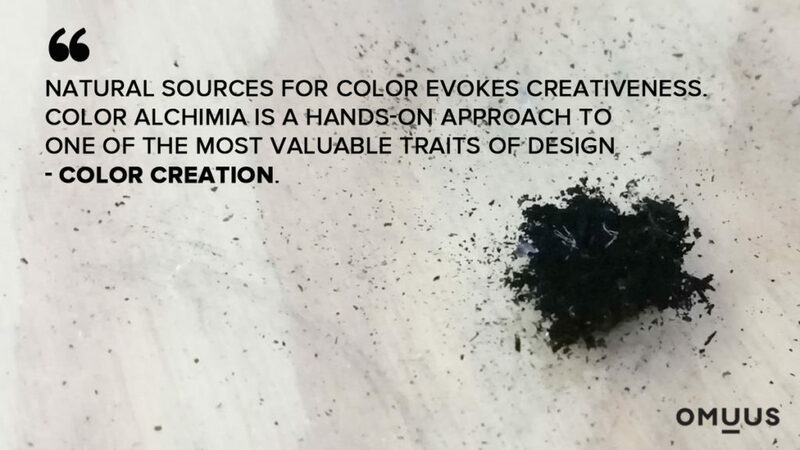 Creating colors with these methodologies is a fully sensorial experience. Starting from the aromas to the grinding of the sources and lastly applying the rich pigments on the materials. 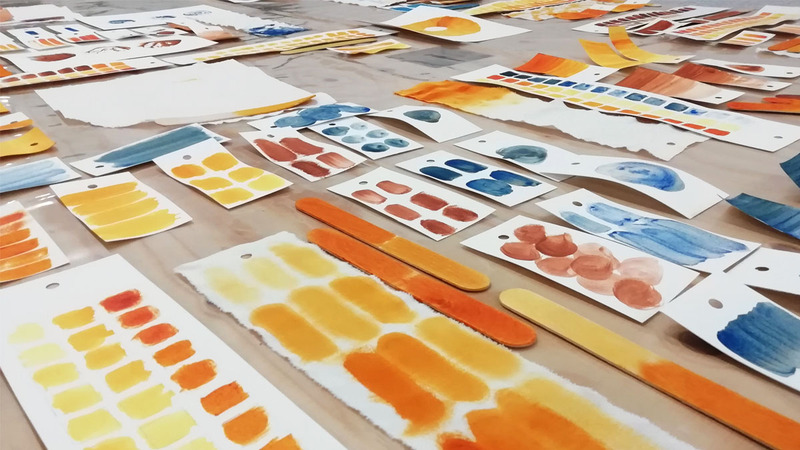 Using natural sources for color evokes creativeness and a hands-on approach to one of the most valuable traits of design -color creation.